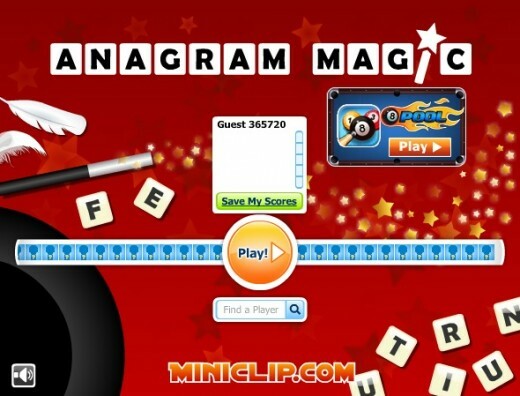 Anagram Magic is a free-to-play online game on Miniclip. Similarly to the British TV show Countdown, the game involves two players who have to find the highest-scoring word with nine randomly selected letters and gain the most points. 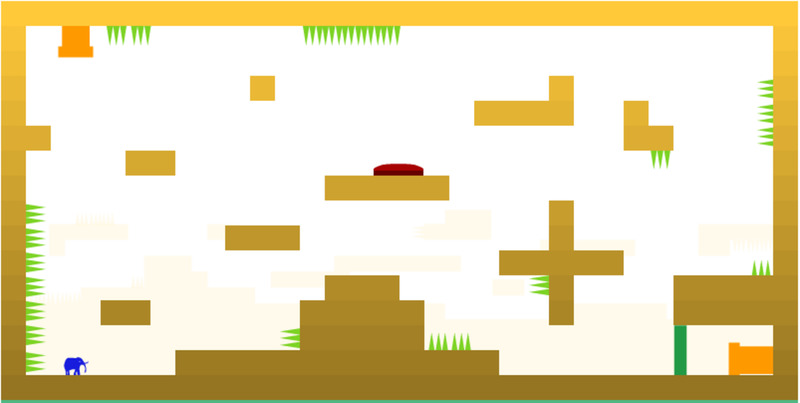 It's an entertaining and addictive game that people all over the world enjoy. 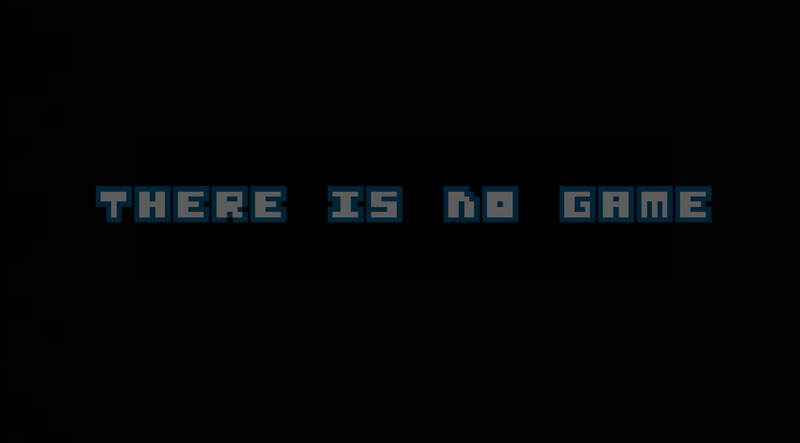 Note: this game no longer exists online. Here are the basic rules for Anagram Magic. 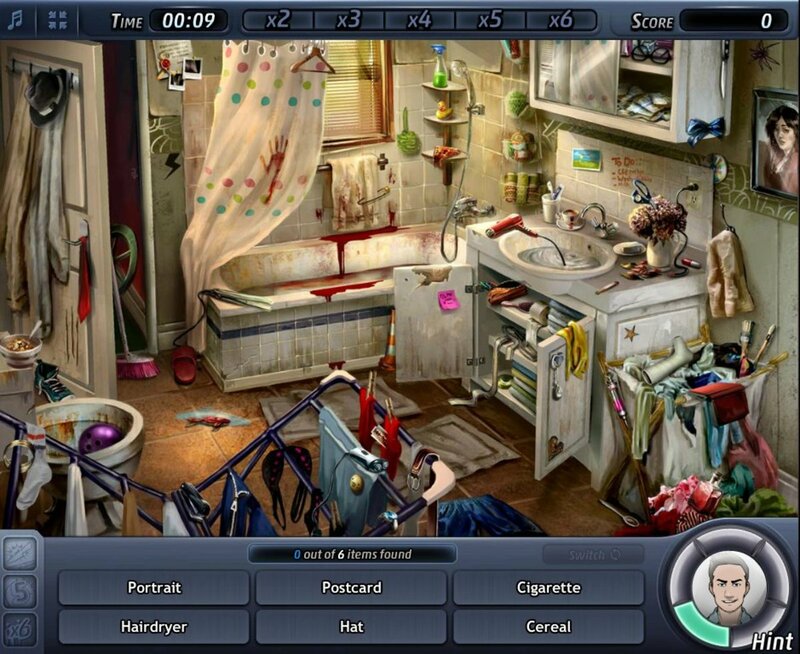 All games have two players. There are four rounds where players have to find the highest scoring word with the given letters. Each letter is worth one point, and each round has one silver letter worth two points and one gold letter worth three points. The fifth and final round is a nine letter word. The first player to find it wins nine points. Whoever has the most points at the end of the game is the winner. Although the game is a lot of fun, there are many issues with it that should be addressed. Here are six things about Anagram Magic that could be improved. To my annoyance, there are a lot of words that Anagram Magic won't accept, thus costing you potential points. Some of these include words that are typed in British English ("grey," "realise," etc.) and some of them are words that could have potentially rude meanings. I understand dirty words completely, but it rubbed me up the wrong way when words like "trimmed," "rubbed," and even "maids" were rejected. These are all words with non-lewd meanings and it seems over-the-top to not accept them. How Often Do You Play Anagram Magic? I've only played it once before. I've played it a few times, but not recently. I play it daily or almost daily. Word games should not accept proper nouns! Despite rejecting words such as "maids" and "trimmed," names of countries, cities, and even bizarre people's names are counted as real words. Traditionally, proper nouns are not accepted in word games, and I think Anagram Magic should follow this rule. 3. You Can't Go Back Once You Hit "Enter"
An infuriating feature of Anagram Magic is that once you've submitted your word, you can't go back and change it, even if the time hasn't run out yet. This is particularly annoying when you made a typo, because then the word will be rejected for incorrect spelling. Once I mixed up two letters in "FASTENERS", a potential nine-letter point collector, and ended up looking like a fool and winning zero points. It wouldn't hurt Anagram Magic to take away this pointless feature. I've played against some people who are very obviously using cheat codes. They get insane words every single time and the final round is over a fraction of a second after the letters appear. I'm open-minded to the belief that there are some people out there who are that good, but sometimes it's easy to see that some players are using software or cheat codes to beat everyone. It would be helpful if the game had some kind of protection software to block this and make it fair for everyone. Anagram Magic has a feature where you can select an option from the drop down menu to say things to the other player such as "Good game! ", "So close! ", "I was out of time! ", and so on. 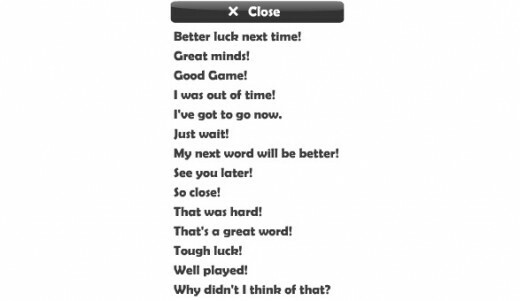 It seems that some players can type in their own messages, and some players can't. It's kind of annoying that other players can send questions and taunting messages that I can't reply to. The strange this is that the free chat feature has worked for me before, but most of the time it doesn't, which makes me wonder if there's some sort of glitch involved. 6. If You Click Onto Another Tab, the Game Counts it as if You Pressed "Enter"
This is the most annoying problem of all. If I'm playing a game of Anagram Magic, I'm most likely doing other things as well, such as checking my email, finding a song to play on YouTube, or writing. It's maddening to click onto another tab only to come back to see that Anagram Magic has decided that I've submitted my word for that round. This can happen even if I haven't selected any letters yet, meaning that I score zero for that round. Sometimes it even does it when I'm on the same tab, which is even worse! It's a horrible and pointless feature that isn't needed. Although it's a fun game that I enjoy playing, these drawbacks are off-putting and demand that I'm very careful about what words I submit, stay on the game without clicking onto another tab mid-game, and put up with not being able to use the free chat feature. Hopefully, Miniclip will be able to clear up these problems and give us a more satisfying experience. Yes :( I wrote the article a while ago. Not sure if I should delete it or not. Hi, Eric. It’s a lot of fun, I recommend it even though it has the above problems. I have never heard of Anagram Magic before but I like to play word games. I play word games on Android smartphone often. I agree with the proper nouns part.